To be brutally honest I’m not sure that the latest piece of transfer speculation relating to the Manchester United goalkeeper, David de Gea, gives any real reason to be concerned. According to the media source, the Independent, the latest piece of transfer tittle-tattle implies that the La Ligue club, Paris Saint-Germain, are willing to match the supposed salary demand, of £350,000 a week that De Gea is supposedly asking Manchester United for in his contract negotiations. Moving to PSG is, in my opinion, not the next career move for the 28-year-old Spaniard and I’d be amazed if it were a move that came off, hence me having no real cause for concern. But if it were yet more rumours linking De Gea to Real Madrid, it’d be a different story. With regards to De Gea’s current contract, it doesn’t expire until the summer of 2020 which gives Manchester United plenty of time to conduct lengthy negotiations before the Spaniard, rated in the £100 million bracket, can walk away from Old Trafford on a free transfer. 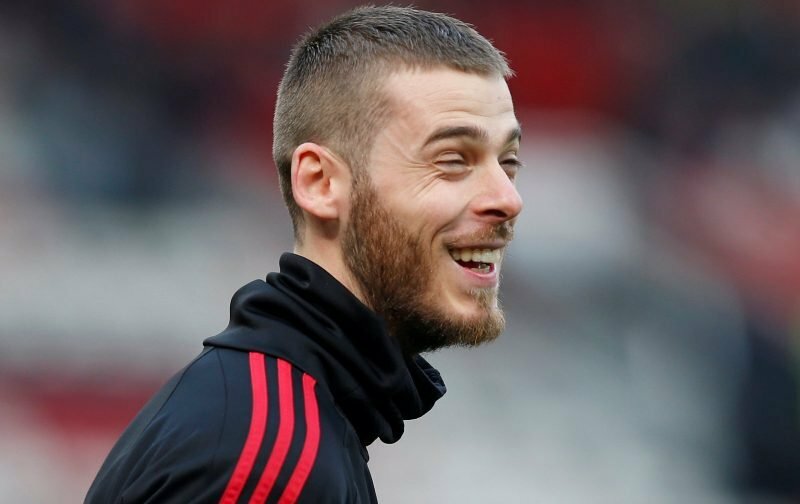 Clearly, that is something the club are not going to let happen, De Gea lives a very comfortable lifestyle at Manchester United and knows the club, following the appointment of Ole Gunnar Solksjaer, are on an upward curve. It’ll be a case of the status quo being maintained, you mark my words!